← iPad Orientation Begins Apace! As we are now halfway through the process of distributing iPads to our students we thought it would be a good time to inform you about your warranty options. Every family who purchased the Mercy iPad package has the AppleCare + warranty. This warranties your iPad against defect and accidental damage for two years. Accidental damage is classified as damage caused by dropping or mishandling of the device. You are allowed two instances of accidental damage within the first two years of ownership. Each instance of accidental damage repair requires the payment of a $49 deductible in order to have the iPad repair porcessed. In addition to the Apple Care + coverage you already have, our Mercy families can purchase additional accidental damage and theft protection through Safeware which is being facilitated by Mac Professionals in Novi, MI. Two incidents of accidental damage, with a $49 deductible for each incident. 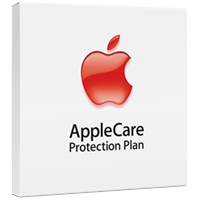 For a full explanation of your Apple Care + coverage please go here. If you need the Safeway warranty form you can download and print it here.